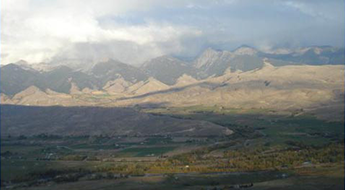 Big Timber Outfitters is located in the Lemhi Mountain Range in the beautiful Salmon-Challis National Forest near Salmon Idaho. We outfit in Unit 29. Check Idaho Fish and Game Regulations for more information. Big Timber Outfitters LLC is permitted to operate under a Special use permit on the Salmon-Challis National Forest. Upon arrival you will spend the night at our house before you go to the trail head. Rent a car and go on highway 28 to Salmon, Idaho. Visit us today in Salmon, Idaho, to prepare for an exciting guided hunt during the archery elk or Mule Deer hunting season! We are located an hour from Leadore, Idaho.